Former President of the Supreme Court of Appeal Justice Lex Mpati. A judicial commission of inquiry into allegations of impropriety at state asset manager the Public Investment Corporation gets underway in Pretoria on Monday morning, with senior executives set to give evidence. The inquiry was announced by President Cyril Ramaphosa in mid-August 2018, following allegations of poor governance, kickbacks and perplexing investment decisions at the institution which manages roughly R2trn worth of assets on behalf of public sector employees. “The aim of these hearings is for the key employees to give the Commission an overview of the applicable legislation, policies and various units of the PIC, so as to lay groundwork for later engagements,” the commission said in a statement. The acting secretary for the PIC, Wilna Louw and Roy Rajdhar, executive head of impact investment will be first to give evidence on Monday. 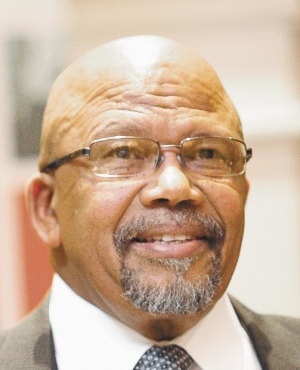 The inquiry is expected to investigate allegations of corruption at the institution dating as far back as 2015, in a process headed by retired president of the Supreme Court of Appeal Justice Lex Mpati. Mpati will be assisted by former SA Reserve Bank governor Gill Marcus and investment banker Emmanuel Lediga. Public hearing will take over three days and again between 28 to 30 January. The commission is required to provide Ramaphosa with an interim report by February 15, and submit a final report and recommendations to the president by April 15.